The year was 2010 and our mom, Jan Mundy, was asked by her agility trainer to repair a damaged chute. This was easy as she still had most of the equipment from her marine canvas and sailmaking shop she operated in Toronto in the late '70s. From here she began designing toys with ideas from fellow students and Salty Dog Canvas was born. Her love of dogs and dog sports lead to the making of agility equipment, x-pen and crate covers and accessories, and more recently, the addition of healthcare products with the Reggie Rx Wrap. U.S. sheepskin and rabbit • Canadian organic buffalo • made in USA balls • tubular webbing from New England • USA-made GRIP ULTRA bungee • zippers from YKK USA • US-made Velcro. 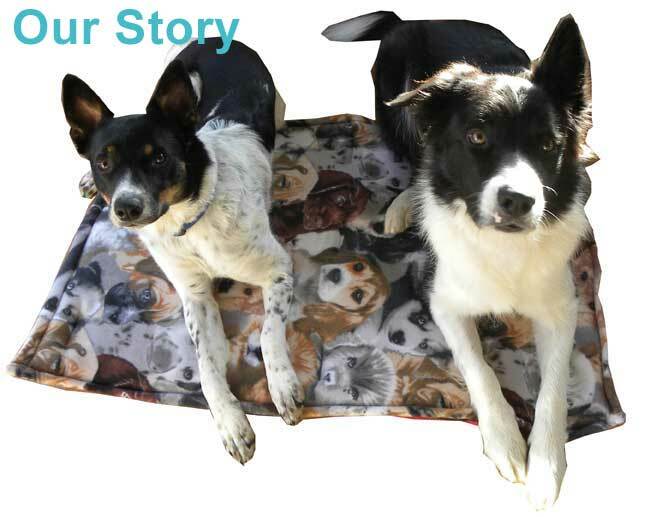 Whether you enjoy agility, flyball, obedience, show, tracking, skijoring or watersports Salty Dog Canvas products are built to last and it has satisfied customers worldwide. And if it matters, Salty Dog Canvas is a smoke-free shop. Need some help? Jan and the Salty Dog Canvas team are here to help. Drop them an email.